Far too often, property owners fail to recognize the primary cause of most air conditioning problems. By far, most issues can be avoided through simple, routine maintenance. At Precision HVAC, our Saugerties air conditioning technicians are here to help you in this regard. We proudly provide annual air conditioning tune-ups to both local residents and businesses. In every service that we provide, our professionals focus on three things: the efficiency, effectiveness, and reliability of your air conditioner. During our A/C tune-ups, our technicians will improve each of these attributes for you. You and your family are guaranteed to be pleased with the results. If you need to hire a professionally licensed air conditioning contractor to conduct an A/C tune-up in Saugerties, call Precision HVAC today. Our courteous and polite staff would be happy to take your call and to assist you in any way that we can. Our knowledgeable experts can answer all of your questions about these amazing services. We can schedule your appointment today. During the winter, your air conditioner does not operate. During this time of stagnation, a number or minor issues and problems can develop. Once we get into late spring, your air conditioner is placed in nearly constant demand. If you do not address these inefficiencies and damage, a number of serious problems can result. As such, it is highly recommended that you hire a professional to conduct annual air conditioning tune-ups during the early spring. In this way, you can ensure that your home comfort system is ready to provide for your needs all summer long. You and your family can feel confident knowing that your air conditioner is properly maintained at all times. Keeping your air conditioner well maintained is highly beneficial for many reasons. First, you and your family enjoy an enhanced level of comfort in your property. Second, your air conditioner will be less susceptible to complete breakdowns. Lastly, you will save money in both the short and long term. Air conditioning tune-ups practically pay for themselves. The improved energy efficiency will reduce your monthly energy bills. By identifying and repairing problems early on, you avoid costly and expensive repairs. By ensuring that your air conditioner is well maintained, you extend the service life of your system. When you hire our Saugerties air conditioning professionals, you are guaranteed to receive and enjoy all of these benefits. 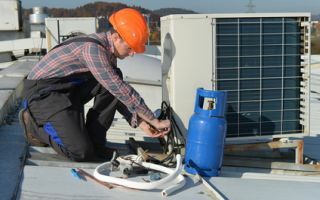 If you need to hire a professionally licensed air conditioning contractor in Saugerties who specializes in air conditioning tune ups, call Precision HVAC today at 845-399-0669, or fill out our online request form.